Stay with me here. The lentils may speak to you as well. 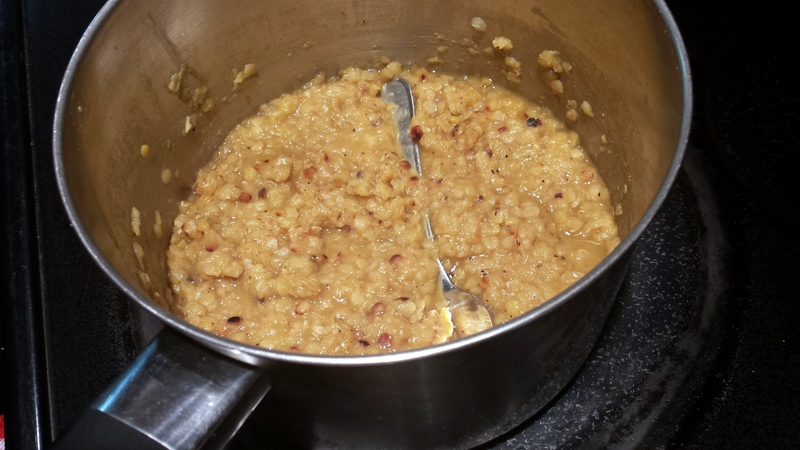 David (as in the young boy who slew the giant and became King of Israel and…even in his sin and repentance…was described as a man after God’s own heart) teaches me about courage “in the middle of lentils”. 2 Samuel 23 recounts some of the courageous acts of David’s “mighty men”. One of these men (named Shammah) showed great courage in the midst of lentils. The Philistines were a powerful and foreboding people who intimidated the Israeliites. The fierce and pompous Philistine army banded together in a field of lentils, producing fear and trepidation among the Israelites. As the Israelites ran away in fear, one lone Israelite, Shammah, stood in the middle of the lentil field. He was not afraid of the powerful Philistine army, and defended this field in the name of the Lord, who brought about a great victory that day. Yes, God used Shammah’s conviction and courage to bring about a great victory for God. The victory did not come through Shammah’s great strength. God’s unrivaled power, combined with Shammah’s conviction and courage, defeated the seemingly formidable Philistine army. How deep are your convictions today? What do you really believe about God and his message to us all? Do you let current viewpoints from our world, our politicians, world religious leaders, and celebrities mold your convictions and affect your courage–or are your beliefs about God and his word rock solid– filling you with courage? God knows we will be tempted to conform to the pattern of the world and calls us to be transformed by the renewal of our thinking. Then, the beauty and perfection of God’s plan will speak for itself. And his plan is good, pleasing and perfect. Don’t be afraid to stand for God. Gain courage to speak boldly of the things God states. Let the Scriptures burn in your heart and flow from your lips. Teach your children to be “prepared to answer” and help them learn the basics of apologetics so they can be confident in the midst of a godless world and a sea of peer pressure. Let Romans 1:16 fill you with courage whenever you stand in a field of lentils and everyone else cowers: I am not ashamed of the gospel, because it is the power of God for the salvation of everyone who believes: first for the Jew, then for the Gentile. I pray that you and I will be filled with the confidence God provides and never shrink back as we stand in our fields of lentils–our personal tests of courage.. So do not throw away your confidence; it will be richly rewarded. You need to persevere so that when you have done the will of God, you will receive what he has promised. For in just a very little while, “He who is coming will come and will not delay. But my righteous one will live by faith. And if he shrinks back, I will not be pleased with him.” But we are not of those who shrink back and are destroyed, but of those who believe and are saved. You are so encouraging, Elizabeth. Thanks and thanks for sharing!